Defra Secretary Michael Gove has told MPs the Department is planning to publish the Agriculture next month. 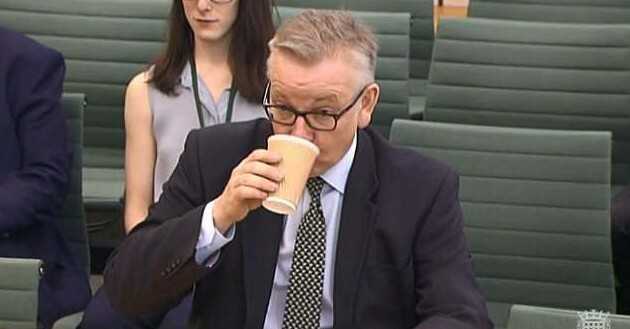 Giving evidence to the Environment, Food and Rural Affairs Committee, Mr Gove said the intention was to publish the Bill before the summer Parliamentary recess begins in late July. The Bill, which will set out the future for the Agricultural sector, had been expected in the autumn. It follows Defra’s ‘Health and Harmony’ consultation, which received 44,000 responses, of which only a minority came directly from the farming sector. The consultation covered a wide-range of policy areas, from a new domestic agricultural policy, based on the principle of ‘public money for public goods’, to animal health and welfare, trade policy, labour supply and education and training. During his EFRA appearance, Mr Gove made one surprising announcement indicating that he is planning to drop plans to cap BPS payments during the transition period, preferring instead to implement equal cuts across the board. This, he said, was based on the strength of replies in this area. But he also made some unwelcome headlines as his usually astute political antennae went awry. 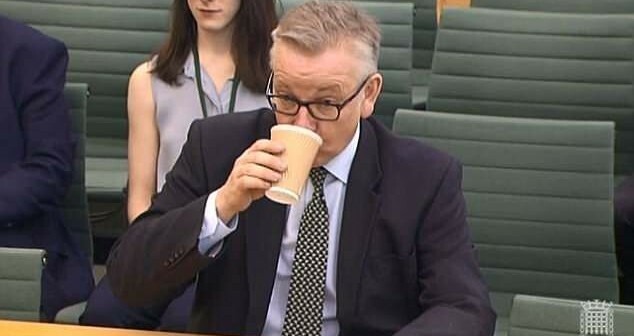 He sat in front of the committee drinking coffee from a disposable cup – despite leading the Government’s drive to ban single use plastics. He blamed the building’s canteen. Meanwhile, at this week’s Cereals event, there was much discussion about Mr Gove’s focus so far on the environment, seemingly at the expense of food production. As she unveiled a new NFU #YourHarvest campaign to encourage arable farmers to make their voice heard to Parliamentarians at this year’s Cereals event, NFU president Minette Batters observed that Mr Gove has ‘taken ownership of the environment’ and is now referred to in the media as the Secretary of State for the Environment. “As of today, I want to turn that (Defra) acronym around. For us, he is very much now the Secretary of State for Food and the Environment,” she said. Asked during a panel discussion if Mr Gove is putting enough emphasis on food production, Mrs Batters said ‘no’, describing his Health and Harmony Command Paper as a ‘social, environmental vision’. She was also questioned on the apparent contradiction between the Government’s aims of driving up UK production standards while also pushing for the UK to be a global leader in free trade – opening up the prospect that we could be flooded with cheap imports produced to lower standards than allowed in the UK. The real test here, Mrs Batters said, will be if some of equivalence on standards is included in the Agriculture Bill and enshrined in primary legislation.